We desire that our children love learning. Not just schooling but learning. This idea is what directs many of our choices for the girls, alongside our belief in God and his infallible word. We want the girls to be excited about always learning more. We want them to seek out exciting and interesting things because they are drawn to them, not because it is required for a grade or a job. This philosophy leads us to an eclectic style of learning. While I truly admire those who are solidly in one camp or another (Classical or Charlotte Mason or Unit study, etc. ), it just isn’t me and it isn’t our family. Eclectic learning allows us to pick and choose or create what will fit our girls and their needs/interests best. 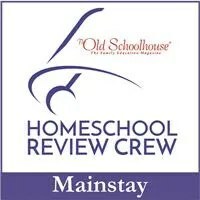 This is one reason we love being a part of Homeschool Review Crew. We have access to tons of products that tailor our girls’ education to who they are and where their path is leading. The variety of products we review gives our girls an introduction to a lot of ideas and activities that we would not otherwise have the opportunity to experience. This “Crew School” as we affectionately call it gives our girls a varied and unique education. What does Learning for Life look like? We’ll cover our current specifics, what we are currently using and doing, next week. But for this week, let’s take a little look at what Learning for Life means. We spend time talking with the girls about what their interests are and what they want to study. We then look for or create a unit to go along with that. For this year, that means a special science study for Miss J and Miss L. There is also a special history study and literature study for Miss L.
Goals and ideas get explored that are of interest to the girls and that creates a learning cycle that builds on itself. More information brings more ideas which brings more learning. I want to encourage you to talk with your students. Ask them what is of interest to them and work forward from there. What is interesting? What do they want to know? What do they already know? What information will pique your interest? Where do we look for that? What types of learning do you want to do (books, computer, videos, activity)? This is where we start each time we finish a unit or curriculum. We talk through what we want to do and move forward from there. Sometimes, our ideas don’t work and we have to either rework or go looking for something else. That’s okay – it’s part of Learning for Life. Learning to reassess and recreate and reattack is all part of life. This post is part of the 2018 Virtual Homeschool Fair, hosted by Susan @ Homeschooling Hearts & Minds. Tomorrow (Sunday) I will update this part of the post with the listing of all the others who are posting on the topic of their method of homeschooling. Note: all posts will be live after 8 am EST on Monday, Jan. 15th. this is a good reminder for me to sit down and talk with my boy about what he likes to learn about…. I hope it is a good discussion for you two. You know, I think I would feel that restriction as well.